In this Fluval c3 Power Filter review you’re going to find out everything you need to know about the filter, and whether it’s going to be a great addition to your tank. Fluval is known for their great products and the c3 also lives up to it. However, like everything, it does have its downsides. So here’s everything you need to know! 3 What Size Tank Is The Fluval c3 For? 9 Why Is The C3 Filter Different? 13 What Can Be Improved? 16 How Easy Is The Fluval c3 To Maintain? 17 How Easy Is It To Setup the Fluval c3? Before finding out what’s so great about the Fluval C3 and the downsides. You should first learn what comes in the box. Here’s a list of all the equipment that comes when you buy the c3. This is everything you can expect to come with the Fluval c3 as well as instructions on how to use it! What Size Tank Is The Fluval c3 For? If you plan on buying the Fluval c3 you should make sure you have the right sized tank for it. The Fluval c3 is primarily recommended for tanks between 20-50 gallons in size. It filters 153 gallons of water per hour. Remember you should be aiming for about 4 times the tanks water to be filtered an hour in a well stocked tank. But of course, if you have a larger tank with fewer fish, or a smaller tank with dirtier fish then you’ll have to adjust accordingly. While it’s recommended to keep this to tanks between 20-50 gallons, it will go just fine on tanks that are 15 gallons in size, especially if you’re housing dirty fish. And if you do pop it on a tank that size it’s going to work wonders at keeping it clean! The standard for filters is to have 3 stages of filtration: mechanical, biological and chemical. While the c3 technically only has 3 stages of filtration as well it does come from 5 different places. If you’re not aware already filtration is super important for keeping your tank looking clean as well as being clean! The c3 has 2 mechanical filtration stages, 1 chemical filtration stage (which can often be swapped out), and 2 biological filtration stages. (Biological filtration is arguably the most important stage so it’s nice to know that there’s two. In filters, mechanical filtration is always the first part. This helps to keep the other parts cleaner by removing any of the debris and buildup before it can reach them. As you can guess, this is good for you because it often means you won’t have to maintain the filter so much as well as not having to replace media as often. The revolutionary mechanical filtration in this tank works in two ways. The first foam stage has larger holes in it allowing it to capture big bits of debris. Once water runs through this it then moves to the denser polyester foam, which helps to strain the smaller particles out. This in part, is what’s going to give your tank a crystal clear look, so you can feel contentment when you look at it! The chemical filtration at this stage is activated carbon, and you should be aware that you’ll need to change it roughly every 2-4 weeks. The last two stages of filtration are the biological filtration. As I mentioned earlier this is the filtration that’s going to keep your betta alive so it’s great that there are two separate parts. Because the larger surface for beneficial bacteria to grow on, the better job they’ll do. The first stage of the biological filtration in this filter is a biological Bio-Screen. Essentially what this does is allows water to trickle through it, to remove debris just before it reaches the c-nodes. This keeps the c-nodes cleaner for longer and means they’re less likely to clog. However, as well as acting like a mesh, it’s also going to provide biological filtration by being the perfect surface for bacteria to grow on. The downside with the bio-screen is that it often becomes clogged instead. This means you’re either going to have to change them regularly (which can become expensive) OR clean them regularly. If you plan on replacing them then you’ll need to do this every 2-3 months. However, if you plan on cleaning them then they will last much longer. And cleaning them only requires that you swish them around in tank water or use a soft toothbrush to remove any buildup of debris. The C-Nodes are similar to standard biological filtration that comes with every other filter. They are designed to be porous and maximise surface area so beneficial bacteria has plenty of room to grow. However, the all-new star shape design provides even larger surface area than the older designs, which means it’s going to do a better job of keeping your tank safe for your betta. 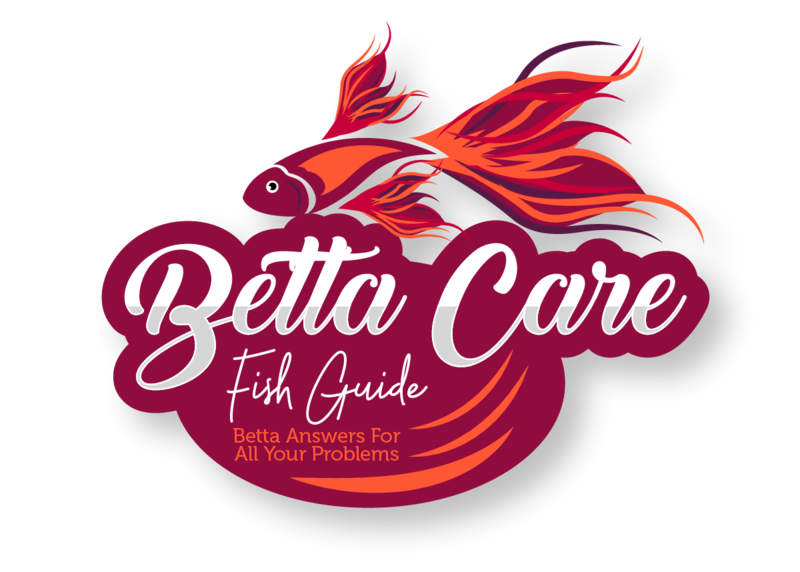 After all, the last thing you need is for your betta to suffer with ammonia poisoning. Why Is The C3 Filter Different? If you’re reading this c3 power filter review, then you’re probably wondering what separates it from other similar filters. Here are a few of the best features it has. Checking your filter and remembering to have a schedule is just one more thing that you have to do. If you forget when you last maintained your filter then you may end up cleaning it again prematurely or too late. The c3 comes with a clogging indicator that let’s you know exactly when you need to clean it. When the c3 becomes to clogged the indicator pops up, letting you know it’s time to give your filter a clean. Not only is this filter going to save you time and give you one less thing to think about, it’s also beneficial to your fish! Having this handy indicator is going to stop your tank from becoming dirty and potentially save your fishes life! This is something you love to see on a filter, yet it’s surprising how many don’t have this feature. If you’re housing a fish such as a betta which requires low flow, then you may be troubled seeing them getting blown around by the current in your tank. However, the c3’s adjustable filtration rate eliminates this. The adjustable filtration rate will slow the current in your tank making it manageable to all the fish and any plants that don’t like a slow flow. The best part is that when you slow the water rate, the water inside the filter is reprocessed, meaning it’s going to come out cleaner and be filtered more thoroughly. This is going to provide your aquarium with even fresher water! While the c3 is a powerful filter that’s going to be great for your tank, it’s not a massive filter by anyone’s standards. In fact it only measures 7″ x 5″ x 7″ which is incredibly small for how effective it is. And the small size means you’re going to be able to hang it on the back of most fish tanks without worrying about their location. So stop worrying if it’s going to be able to fit or whether you’re going to have to move your whole tank! There’s no denying this is an amazing piece of kit for any fish tank. However, like all technology, there is always room for improvement. One of the biggest downsides to this filter is the noise level. The problem appears to be when you slow the filtration flow. When this happens, if the pipe isn’t aligned with the incoming water then it causes a rattling noise. If you’re thinking about adding the c3 to a bedroom tank then you should definitely take this into consideration beforehand. However, remember the noise isn’t unbearable and you shouldn’t let this small factor put you off. You should also avoid this filter if you have a sand substrate. While it’s fine with gravel, fine pieces of sand get sucked into the filter and can damage it. This damage is going to make the impeller and motor become a lot louder and give it a scratchy sound. However, remember this is only with fine sand, any other substrate is just fine. How Easy Is The Fluval c3 To Maintain? Maintenance of the Fluval c3 is fairly easy due to the clog indicator, however, it should be noted that you should keep an eye on the interior parts as well. They often become covered in grime which you should remove to keep the c3 working optimally. As well as that, if you want to make the most out of the bio-screen instead of constantly replacing it then it will need maintenance. However, the maintenance merely consists of scrubbing it with a soft toothbrush or swishing it around in aquarium water until the debris is removed. How Easy Is It To Setup the Fluval c3? If you’ve never set up a HOB filter before then you may be feeling a little apprehensive. However, you shouldn’t be. They are extremely easy to set up and once you’ve read the instructions it will only take you about 10 minutes to get it working. The Fluval c3 is a great filter for any tank that ranges in size from 15-50 gallons. It’s controllable flow rate, clog indicator and five stage filtration are amazing features that make this filter stand out from it’s rivals. However, you should be aware that this filter can become noisy if it isn’t maintained and you should avoid a sandy substrate! If you enjoyed this article, you can find out more info about the Fluval c3 here! Otherwise have a great day.